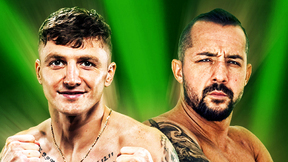 From the Nagoya Rainbow Hall, PRIDE 9: New Blood delivered an exciting card with top striking & submission talent from Igor “Ice Cold” Vovchanchyn to former UFC heavyweight champ Ricco Rodriguez. In the main event, Vitor Belfort faced Gilbert Yvel. 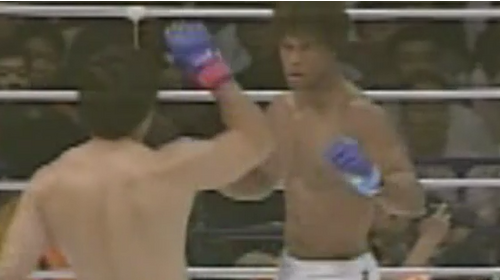 Vitor Belfort vs Gilbert Yvel PRIDE 9: New Blood Sun, Jun 4, 2000 (30:29) After a disappointing PRIDE debut, UFC 12 tournament winner “The Phenom” Vitor Belfort, with his fast & furious striking, entered the ring for redemption as he faced Muay Thai machine Gilbert “The Hurricane” Yvel, who had 20 of his 22 career wins end by KO/TKO. 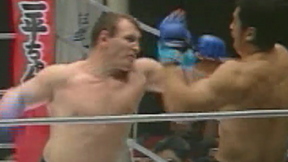 Igor Vovchanchyn vs. Daijiro Matsui PRIDE 9: New Blood Sun, Jun 4, 2000 (12:39) After suffering his first loss in five years in the PRIDE GP 2000 finals, Ukrainian kickboxer turned MMA KO kingpin Igor “Ice Cold” Vovchanchyn returned to the ring to start a new win streak as he faced catch-wrestler Daijiro “The Japanese Tank” Matsui. 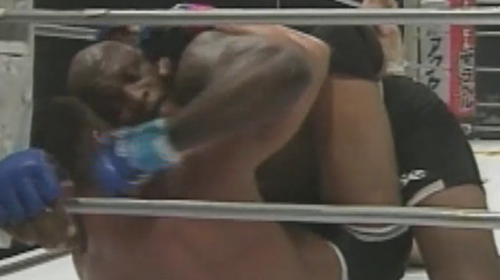 Ricco Rodriguez vs. Gary Goodridge PRIDE 9: New Blood Sun, Jun 4, 2000 (28:29) Making his PRIDE debut, BJJ blackbelt Ricco “Suave” Rodriguez, with his 5-1 pro record including four submission stoppages, took on UFC & PRIDE veteran “Big Daddy” Gary Goodridge, with all 10 of his career wins by finish. 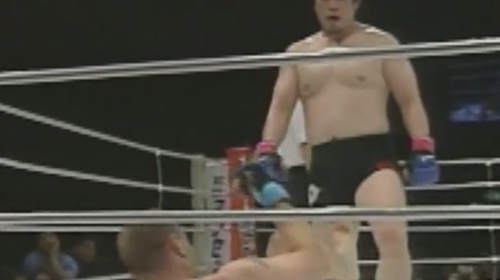 Akira Shoji vs. John Renken PRIDE 9: New Blood Sun, Jun 4, 2000 (13:46) Following-up his 1-1 performance in the first PRIDE Open-Weight Grand Prix, fan-favorite Akira Shoji with his overall 6-3-5 pro record took to the ring to face promotion newcomer & MMA veteran John “The Saint” Renken. Carlos Barreto vs. Tra Telligman PRIDE 9: New Blood Sun, Jun 4, 2000 (30:29) Striking vs. submissions as UFC veteran & Lion’s Den stand-up specialist Tra “Trauma” Telligman with his 6-2-1 pro record and making his first trip into the PRIDE ring faced Carlson Gracie’s BJJ blackbelt Carlos Barreto who owned a 10-2 MMA record. Allan Goes vs. Vernon White PRIDE 9: New Blood Sun, Jun 4, 2000 (27:16) Another classic “striker vs. grappler” match-up as Lion’s Den stand-up specialist Vernon “Tiger” White who was riding a career high three straight wins readied to rumble with highly-regarded BJJ blackbelt Allan Goes with his 4-1-2 record with all wins by sub. 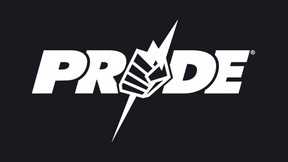 Carlos Newton vs. Naoki Sano Pride 9: New Blood Sun, Jun 4, 2000 (5:49) Earning a win in his PRIDE debut, former UFC tournament finalist & submission ace Carlos “The Ronin” Newton, with his 7-4 MMA record, took to the PRIDE ring to scrap with Japanese professional wrestler Naoki Sano, who was still searching for his first win. 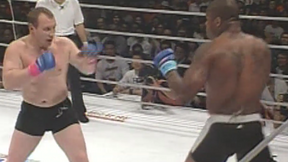 Heath Herring vs. Willie Peeters PRIDE 9: New Blood Sun, Jun 4, 2000 (6:40) In a dueling heavyweight PRIDE debut, former multiple-time Dutch wrestling champion Willie Peeters with his 9-9-1 MMA record readied to rumble with “The Texas Crazy Horse” Heath Herring with his 13-5 pro record including 11 submission stoppages.